Paresthesia refers to a pins and needles sensation in any part of the body. When you experience a tingling sensation in head, it is called head paresthesia. This may also accompany with feelings of burning, creeping, or partial numbness. You may experience tingle sensations in different parts of head. Some say they feel their scalp is tingling. The feeling can also affect your ears, face, tongue, mouth, neck, and other parts of the body. This usually happens due to nerve damage because entrapped or damaged nerve may delay or confuse signals to and from the brain. You need to see your doctor if condition persists for an extended time. 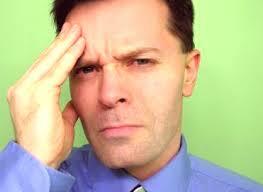 Colds or Sinus: You may experience head paresthesia due to bad colds or severe sinus infections. It happens when the air passageways in your upper face become blocked or inflamed. This compresses the nerves in that region, causing tingling sensations. Diabetes: Diabetes is among the most common causes of peripheral neuropathy. It causes persistent head paresthesia because the patients with poorly controlled blood sugar for years end up damaging their nerves. These damaged nerves result in an aching, tingling, or burning sensation. Migraines and Brain Pressure Imbalance: People with migraines experience head paresthesia for more sustained periods. It usually happens due to a change in blood flow during a migraine attack. Similarly, fluid buildup may also cause a tingling sensation in head. It happens when small pockets of cerebral fluid or blood get caught in the inner channels of the brain. Injury: Any type of neck injury may lead to a tingling sensation in head with feelings of numbness. This is more common in people who suffer from whiplash and have suffered a serious concussion. Effects of Certain Drugs: Head paresthesia can be a side effect of certain prescription medication. Ask your doctor if you think you have started experiencing a tingling sensation in head after you started taking a particular medicine. The same may happen when you use narcotics, especially those in the opiate family. These drugs cause long-term nerve damage. Improper Position. Remaining in the same position for extended periods will limit the blood flow to certain areas making those organs to 'fall asleep' for some time. When you keep your neck out of a straight position for long, this may cause it to fall asleep and produce tingling sensation when blood supply is restored to the area. Anxiety. Anxiety and anxiety-like sensations can cause serious issues. Being anxious about something will activate a stress response that will make you deal with several problems, including tingling in head. The good thing is that if your tingling sensation in head is due to anxiety, you do not need to worry about having other underlying conditions. You just need to manage your anxiety to relieve your symptoms. MS (Multiple Sclerosis). This autoimmune disease affects your brain and spinal cord. You experience different symptoms when the protective sheath around the nerves is damaged. It may cause bowel and bladder problems, with issues like numbness, loss of balance, tingling, paralysis, tremors, weakness, and vision problems. Physical therapy coupled with medical treatment helps make these symptoms manageable. Tumors. A brain tumor may cause tingling sensation in head. It usually starts as a small mass of cells and grows overtime to cause symptoms such as disrupted brain function with increased pressure inside the head. Other common nervous system tumor symptoms are nausea, headache, vomiting, lethargy, and general confusion. Patients may also experience speech and language problems as well as seizures and visual problems. About 20% of people have headache as the first symptom of brain tumor, but about 70% of patients eventually experience headaches. The headache may only be on the side of the tumor or occur anywhere on the head. Most headaches caused by brain tumors usually become worse in the morning because of the increased pressure in the brain. In addition, tingling sensation in head may be caused by some other medical conditions such as stroke, carpal tunnel syndrome, seizures, underactive thyroid, transient ischemic attack, and a lack of vitamin B12. Some people experience the same sensation due to abnormal levels of potassium, calcium, or sodium in the body. Toxic action on the nerves due to tobacco, alcohol or lead can also cause the same issue. "I recently experienced tingling sensation in head and on my face. I thought it was a stroke and rushed to ER, but nothing came out after a series of tests, including CT scan, chest X-ray, blood work, and some other tests. I met a neurologist a few days ago and they have asked for some blood tests and MRI. I have been dealing with serious anxiety for quite some time now and I believe my tingling sensations have something to do with it. One of my friends suggested a psychologist because hypnosis helps with anxiety. I will try that as well to see how to it works." You do not usually need to worry a lot about tingling that comes and goes because it is likely to be associated with a head cold. You should seek medical help for persistent tingling because it may indicate an underlying medical condition. Your head paresthesia may well be the result of the above mentioned medical conditions. A neurological examination is required for complete evaluation of the nervous system and functions such as sensation, reflexes, coordination, balance, hearing, and vision. Your doctor may also ask for tests such as an electromyography (EMG) to test the electrical and nerve activity of your muscles.